Are you a business owner using Social Media to create awareness and enquiries for your products and services? If so, here’s how Boonwag Digital Marketing can put some real oomph behind every message or photo you post. Just imagine if every post you load to Facebook, Twitter or Instagram appeared on your website – straightaway. 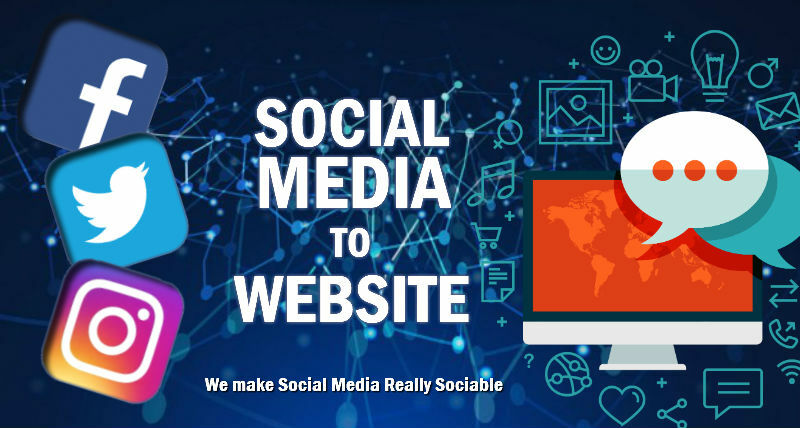 Our service captures the text of your social media posts, providing you with fresh site content and, in turn, boosting your website SEO and page rankings. A win-win situation. Customers visiting your website will have access to all your social media activity. Your website will stay fresh and up-to-date with the latest information you share on social media. Always a good sign! It’s highly flexible. We can configure the service to show certain posts on certain pages. For example, Facebook events can show on your website events page, or posts can appear on your news page or photos appear on your gallery page. We’ll ensure the design is responsive and functional, so your social media posts not only complement your website layout and colour schemes but also look great on all devices. You will be in control of your website content – simply by posting on social media. We can direct Social Media posts to relevant pages on the website. We can take posts from multiple feeds and display them in one location/page. We can create video blogs pages, photo galleries and carousels. Your social media posts will have never looked so good! You save time and money by doing it once and leave the complicated backend configuration to us. That’s what we mean by making social media really sociable. Everybody’s in on your news! To find out how Boonwag can make this happen for you, please call on 01403 268594 or email us at sales@boonwag.co.uk.